Anyone can practice divination. You don`t need to be psychic, or believe that a higher power controls the cards. 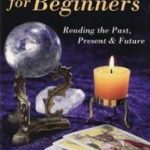 Anyone can learn to predict the future using the methods described in this book. Learn how to choose the methods that works best for you, and ask the right questions so you get accurate answers. 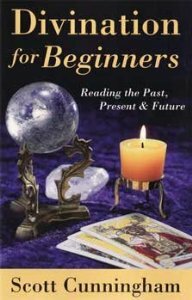 Discover the secrets of a wide variety of methods, from Tarot cards and the I Ching to crystal gazing, palmistry, and even reading signs and omens in the world around you. The real value of divination is in planning and prevention. If you like the answers you receive, continue on. If it looks like trouble ahead, adjust your course of action and see how your new plan affects the outcome. In this way you can use divination to fine tune your future and start living the life you`ve always dreamed of. This is a 240 page trade softcover book.